Printed to order and sent with Royal Mail. No questions asked, 365 days return policy. 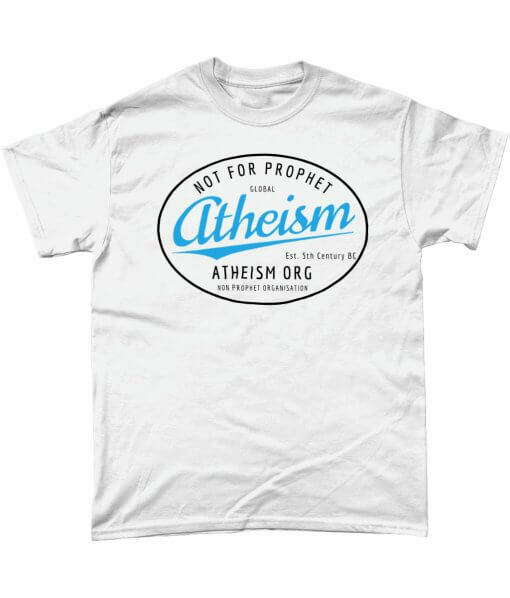 Atheism – not for prophet, a non prophet organisation. 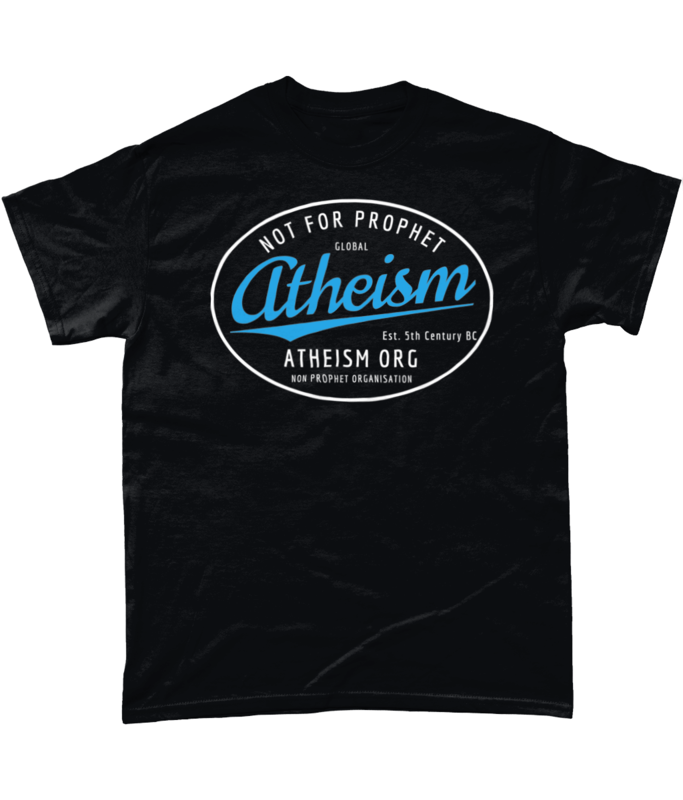 Funny atheism t-shirt designed and printed in UK. Available in your choice of black or white. Bought as a gift so can’t comment on wear and tear but happy with price, delivery and packaging. Our mission is to have happy customers. We try to do that by focusing on attention to detail - in the unique t-shirt designs, quality of our tees and the service we offer all our valued customers. 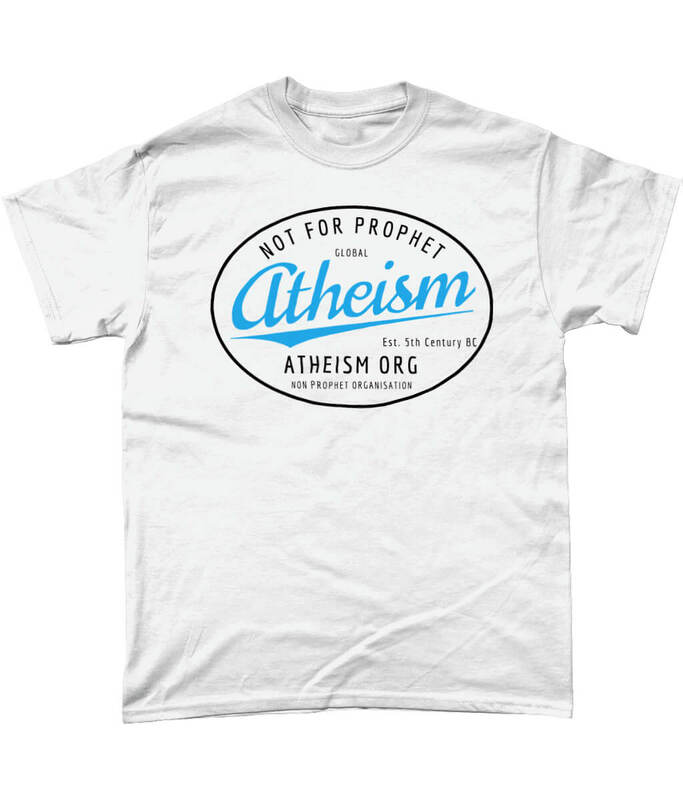 If you are a t-shirt fan you could do a lot worse than sign-up here. We send occasional updates with news and offers.